Special thanks to Dream Mansion for extending this food review invitation. Fans of anime (アニメ) and manga (漫画) will be glad to know that a themed restaurant has opened in George Town. 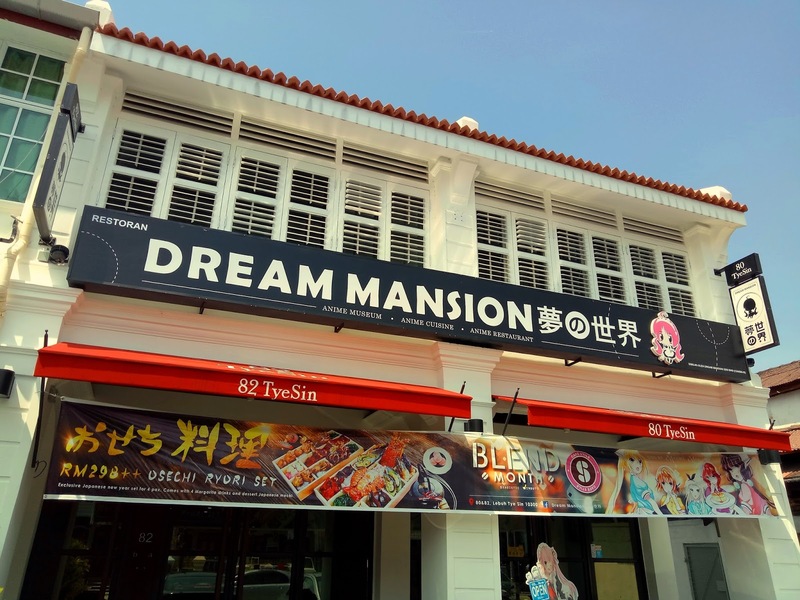 Located at Lebuh Tye Sin, Dream Mansion (夢の世界) incorporates elements of Japanese cosplay into its décor, exhibits, menu and even the waitresses' costumes. Dream Mansion presents a relaxing, family-friendly ambience with different seating arrangements. 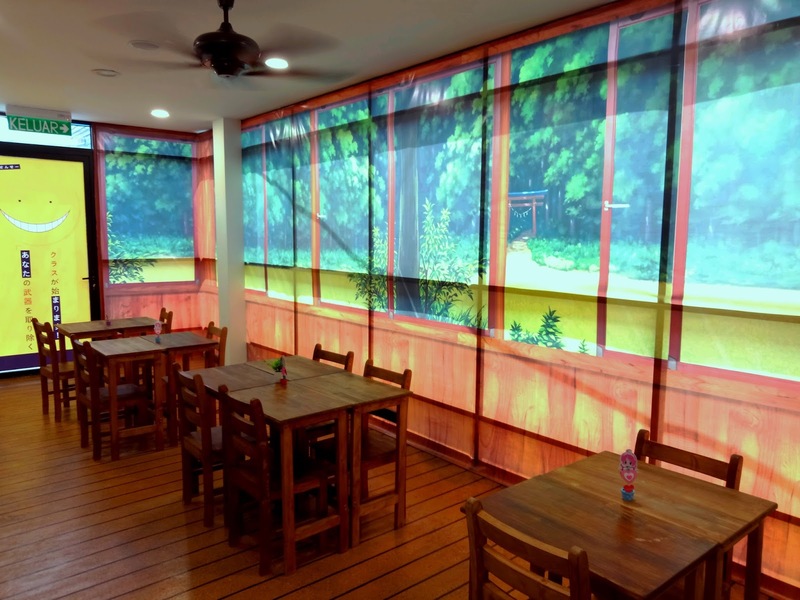 Besides proper tables, customers can also opt for tatami- (畳) style dining. This no-footwear dining section has several Japanese low tables (ちゃぶ台) with cushions (座布団) and legless chairs (座椅子). 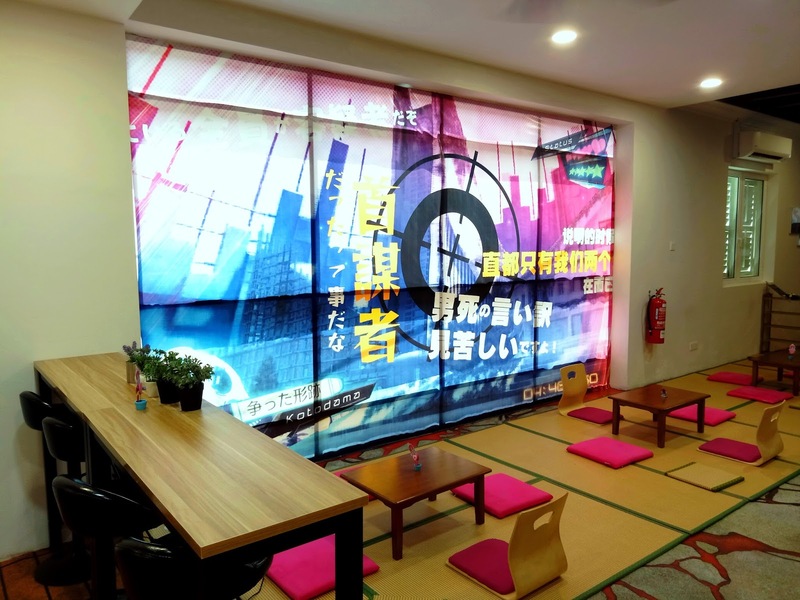 To keep customers entertained during their visits, Dream Mansion provides pastime such as comic books, board games and card games. In addition, a blackboard with chalks allows children to doodle and express their artistic talents. The food menu here primarily features Japanese cooking with substantial Western influences. 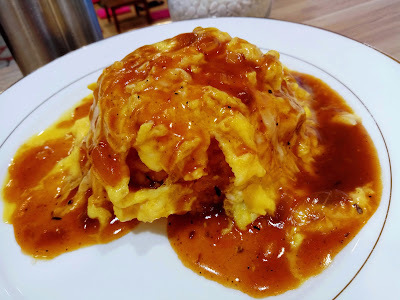 An iconic example is Omurice (黄金オムライス, RM18.90), a portmanteau of the words "omelette" (オムレツ) and "rice" (ライス). Unlike those served in Western breakfasts, the omelette remains soggy inside. When served, the omelette is cut into halves so that it unfolds and covers the heap of rice. This dish comes with Japanese curry (カレー). 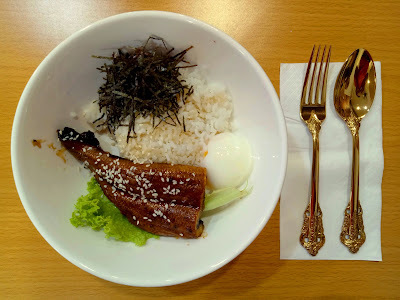 The next rice dish is Unagi Don (鰻丼, RM21.90). Served on a bowl of rice, the delicate piece of freshwater eel is seasoned with tare sauce (垂れ) and sesame seeds. The fillet is delectable overall. On the side are onsen tamago (温泉玉子) and strips of seaweed (海苔). Dream Mansion uses gold-colored silverware as a symbol of opulence. 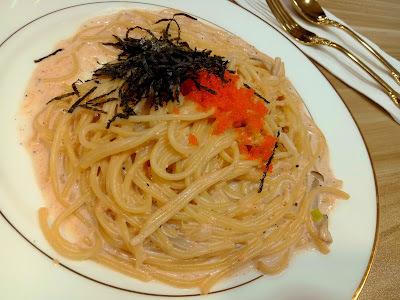 Moving on, Mentaiko Spaghetti (明太子パスタ, RM19.90) is served with white sauce to present a creamy consistency on the lips. The pasta is topped with pollock roe (明太子) and seaweed. The roe gives a distinctive scent which some people might find uncomfortable with. It is advisable to consume the dish while it is warm; otherwise the sauce dries up and becomes too thick and surfeiting. 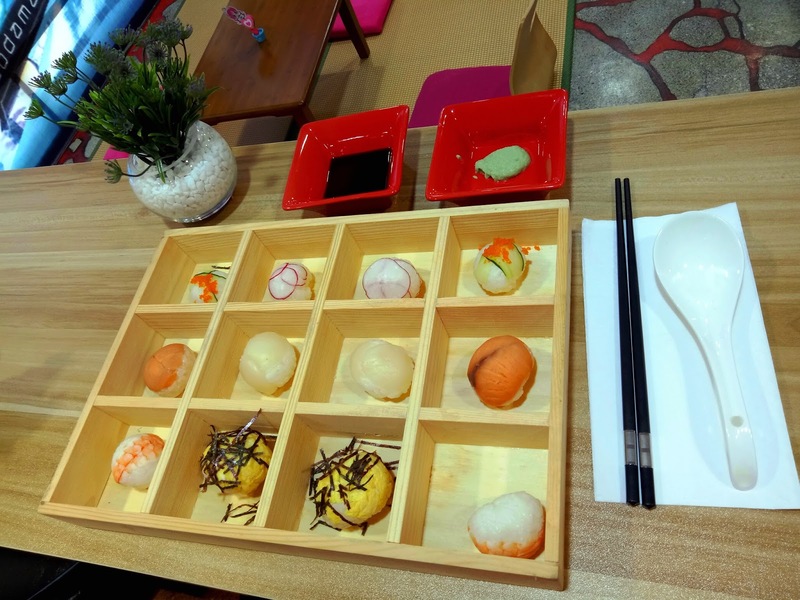 Temari Bento (手まり弁当, RM28.90) is ideal for sharing between two people. Temari sushi (手まり寿司) is a special type of sushi where vinegar-laced rice is hand-rolled into bite-size balls. There are 6 types of topping with 2 pieces each: salmon, shrimp, squid, omelette, cucumber and turnip. Wasabi (山葵) and soy sauce (醤油) serve as condiments. 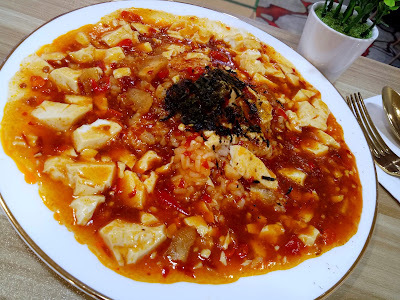 Mapo Tofu (麻婆丼, RM18.90) is a specialty of Sichuan cuisine but has now become popular throughout China, Korea and Japan. 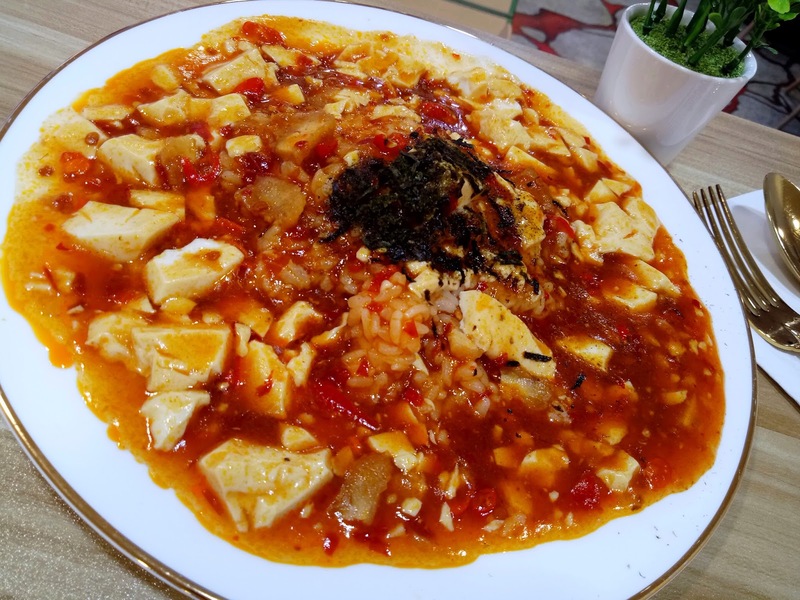 The spicy stew of soft tofu is typically flavored with chili and doubanjiang. Dream Mansion offers 3 levels of spiciness: 1 (mild), 3 (moderate) and 5 (extreme). I find Level 3 to be quite spicy but still bearable. 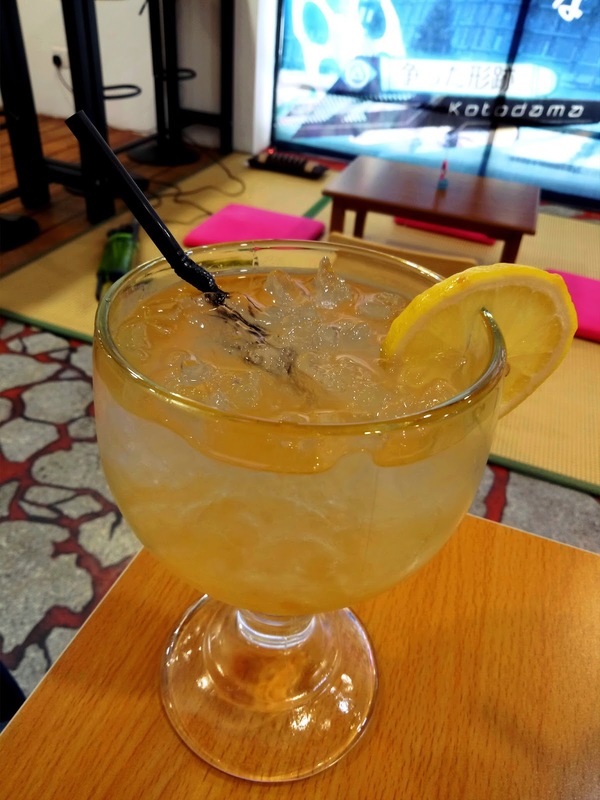 Dream Mansion's drinks are named after popular anime characters in One Piece (ワンピース). 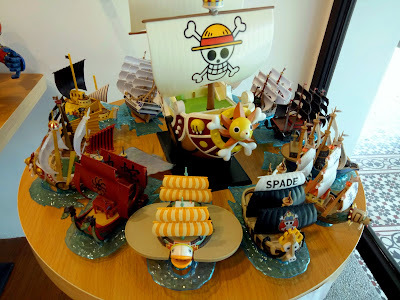 For instance, Straw Hat (麦わら帽子を持つ少年, RM16.90) is inspired by Monkey D. Luffy (モンキー・D・ルフィ), the protagonist in the franchise. This thick chocolate milkshake contains strawberry purée and chewy tapioca pearls. Strawberry-flavored whipped cream serves as icing on the cake. Next, Moss Head (モスヘッド, RM13.90) is a parody Roronoa Zoro (ロロノア・ゾロ), a supporting character from One Piece. This lemonade mocktail is mixed with kiwi juice and honey, presenting citrus tanginess which quenches thirst very well. 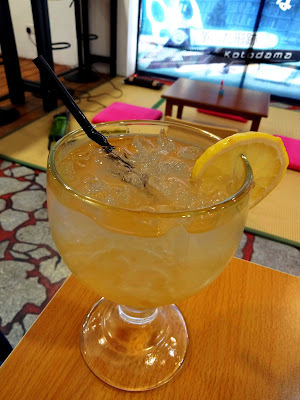 As for garnishing, there is also a slice of lemon on the glass' rim. 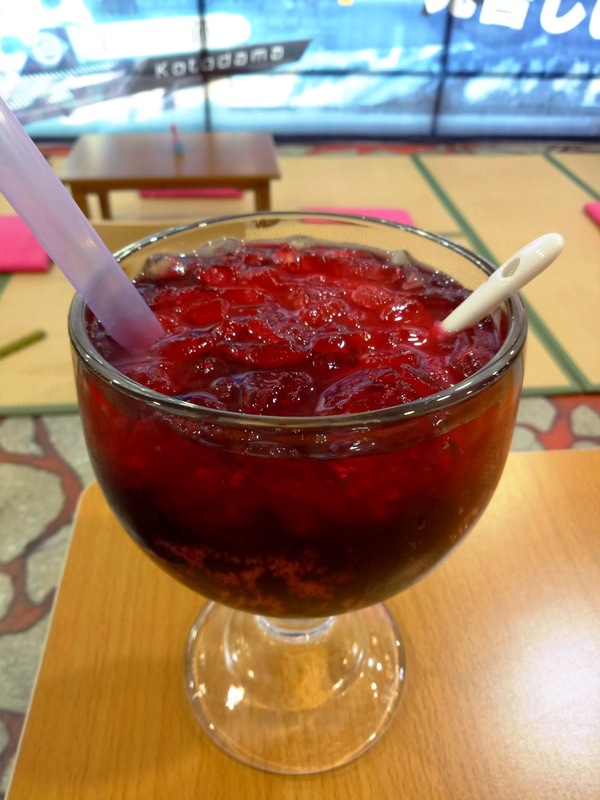 Sparkling Blood Juice (スパークリングジュース, RM13.90) is a carbonated drink with lemon flavors. Its reddish color comes from strawberry and blueberry purée. As a form of showmanship, this fizzy drink is mixed in front of customers. 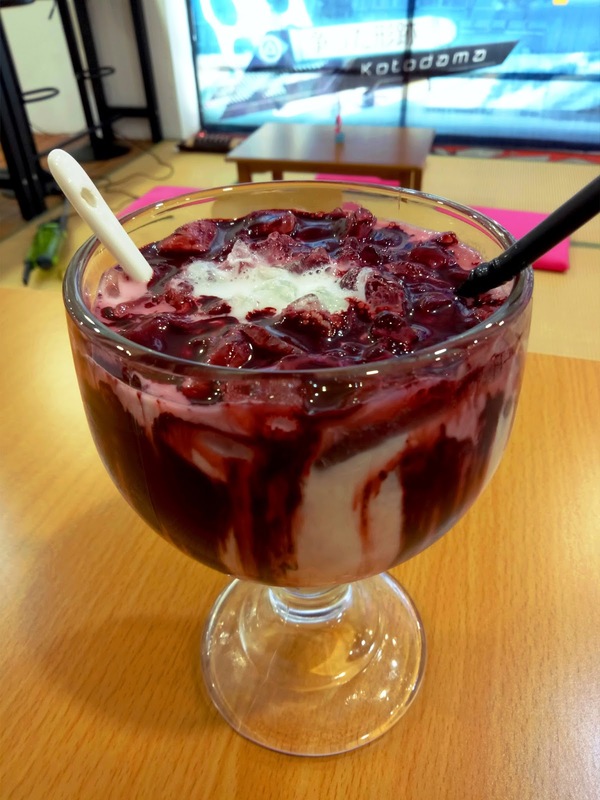 Iced Blood Chocolate (アイスチョコレート, RM15.90) is also prepared in front of customers. In this case, thick chocolate sauce is added to milk. The drink has milky consistency with noticeable cocoa aftertaste. 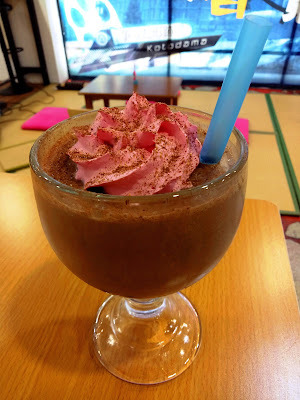 The iced chocolate is mildly flavored overall, making it suitable for people who love chocolate but need to watch their sugar intake. 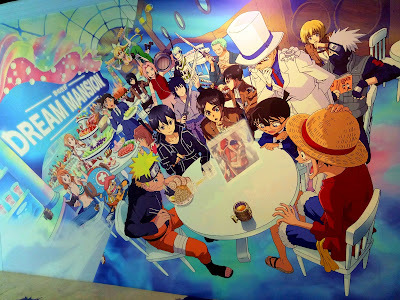 One section of the dining area is a small anime museum which showcases the proprietor's personal collection. Mansion has over 300 pieces on display. 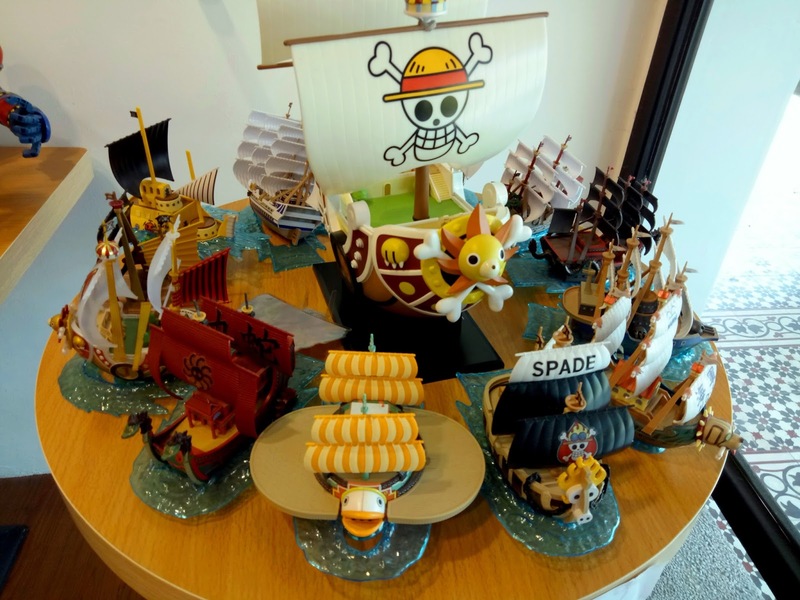 The collectibles cover popular manga and anime series like One Piece, Fairy Tail (フェアリーテイル), Lupin III (ルパン三世), Attack On Titan (進撃の巨人) and more. Some items, such as mecha models, are also for sale. 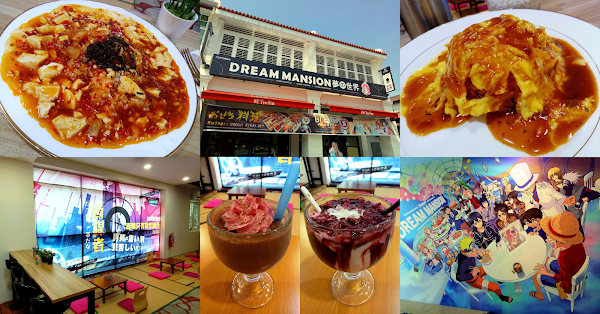 As there are not many anime-themed restaurants in Penang, Dream Mansion certainly appeals to fans of anime, or Japanese pop culture in general. Another source of attraction is the crew of waitresses in cosplay costumes. While not exactly a maid café (メイド喫茶), Dream Mansion is certainly popular among the young crowd. 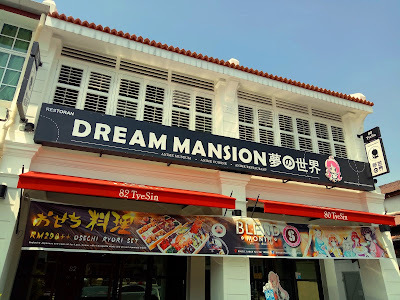 Directions: Dream Mansion is a 2-shop restaurant along Lebuh Tye Sin, between the junctions with Jalan Gurdwara and Lebuh Mcnair. It is within a stone's throw from Super 8 Hotel. There are several parking spaces in front of the restaurant. Additional parking is available along Lebuh Tye Sin and Lebuh Mcnair.